It has been about two years since I began obsessing over lawn care pesticides and herbicides and the chemicals that my dogs were being exposed to as a result of the American aversion to anything but beautiful perfect grass. Since that day I have tried to spread the word that the perfect weed free lawn that is part of the American dream is a direct threat to the other part of that dream: the children and pets who play on that grass. It was a beautiful day in May 2013 and I had just quit my corporate job to become a self-employed writer. Being around our neighborhood in the daytime was still a novelty to me and I loved being able to stop in the middle of whatever I was doing and run to the store or go for a walk with Jackson. 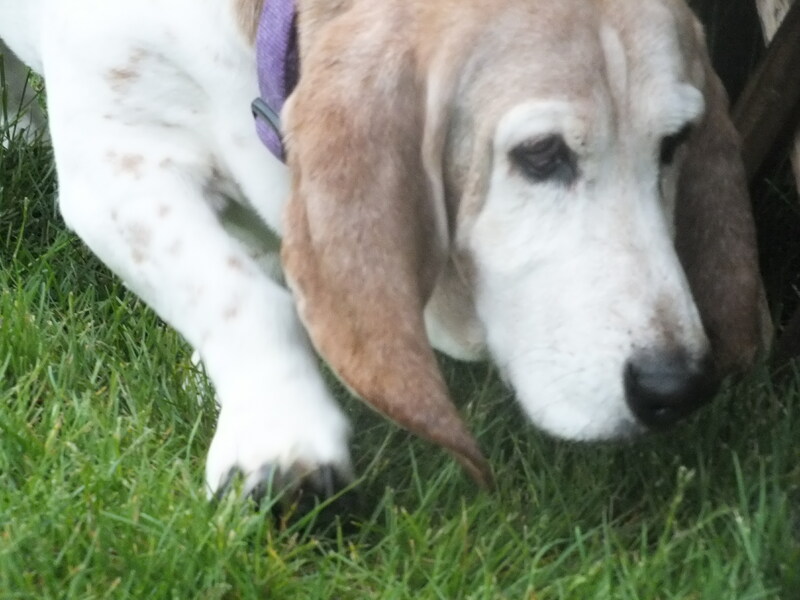 Our Basset Hound Maggie had just died from lymphoma a month before and Tinkerbell was just a teeny pup in the whelping pen and far from being able to come home to us. This meant that I spent a lot of one-on-one time with Jackson to keep him from being lonely and to shower him with all of the human attention before his new puppy sister came and changed the dynamic of the house, making the best of the sad situation that had left him an only dog. Halfway through our walk that day I came across a lawn service truck in a neighbor’s yard and a man spraying the grass with some sort of spray. With canine cancer still weighing heavily on my mind following Maggie’s death, we took a very wide path around the truck and the man spraying chemicals into the yard. Later that evening, as I watched Jax performing his normal grooming activities which included a lot of paw licking, I started to obsess over the other yards that we may have walked through with potentially toxic chemicals or contaminants. The more I thought about it, the more uneasy I became. Some yards were marked with signs, but what about the DIY treatments that can be applied by the homeowner? How many yards had we walked through that had been treated with products available at home improvement stores? I had no way of knowing what Jackson had on his paws as he trotted along happily, innocently smelling the grass and the dog version of the trending stories of the day. I remember jumping up as I watched him licking himself clean and filling up a large container with warm water and his organic shampoo and another container with clear water. I called him over and washed all of his paws, swishing them through the soapy mixture, rinsing them, and then drying them between his paw pads. I grabbed a wash cloth and wet it with warm water and ran it all over his body, his head, jowls and even his nose. And then I Googled. It seems I was extremely late to the game associating lawn treatments with the rising number of canine cancer cases. I was astounded that it never clicked in my head before, although this is the first time I have lived in a subdivision, where the lawn is king and people obsess over the state of their grass. Growing up in a rural lake community in northern New Jersey, most of our property was in the woods, with two grassy areas that Dad mowed weekly but did not tend to much more than that. Once I moved out on my own after college I never noticed the companies spraying toxins onto the grass. I was too oblivious in my 20s and in my 30s because I did not get home from my commute until 6:30. Here are some of the things that I found.This is an extraordinarily small sampling of the information available online. 2004,Purdue University: CANINE BLADDER CANCER by Deborah W. Knapp, DVM, Dipl. ACVIM Purdue University found an association between herbicide treated lawns and bladder cancer in Scottish Terriers. The risk of transitional cell carcinoma was four to seven times higher in dogs who were exposed to 2,4-D.
2013, Purdue University: Detection of Herbicides in the Urine of Pet Dogs Following Home Lawn Chemical Application Purdue University studied dogs from treated and untreated yards and found that untreated grass contained chemicals from drift from other yards and half of the dogs studied who lived in untreated yards still had chemicals in their urine. This study is perhaps the most troubling to me because it demonstrated that even if owners use precautions and do not treat their own yards that their dogs are still at risk from other homeowners’ toxic pesticides and herbicides drifting onto their grass. It also showed that the 48 hour waiting period in which residents are instructed to keep children and pets off of the grass is insufficient to keep them safe. Once homeowners remove the signs from their yard, assuming that the lawn care company provides signs, there is no way of discerning which lawns have been treated, although because of the drift of the toxins into neighboring yards it may not matter which are treated and which are not. 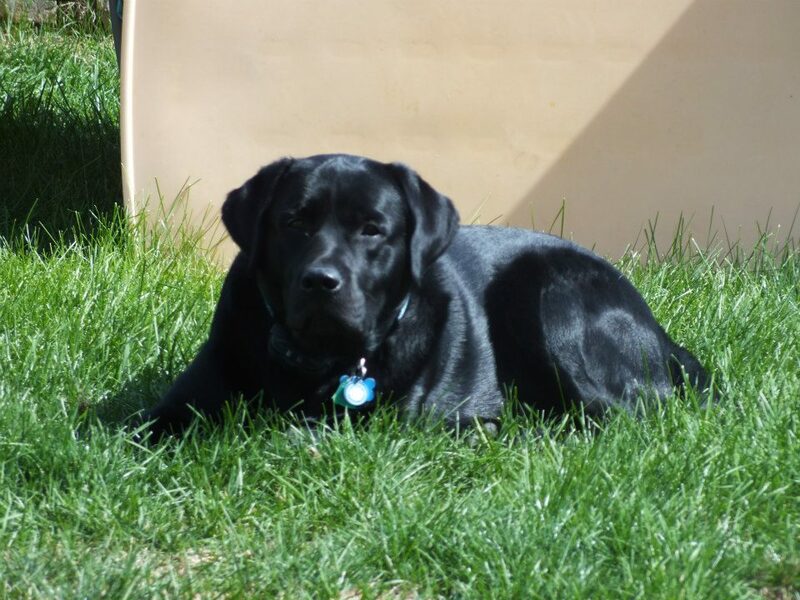 Watch for my next blog on www.lovelaughwoof.com to read about the measures that we take in our home to protect Jackson and Tinkerbell from the impact of potentially deadly lawn care products from neighboring lawns and parks.